Easter is one of my favorite Holidays! It could be because Spring is one of the most beautiful seasons. The tulips, popcorn popping on all the beautiful fruit trees, and then there’s the food. These are truly recipes that have graced our Easter table for generations. Some are newer, some are handed down from Pioneer’s. I can promise you one thing…every single one of them have been taste tested by my very own quality control staff! (They’re a happy bunch! 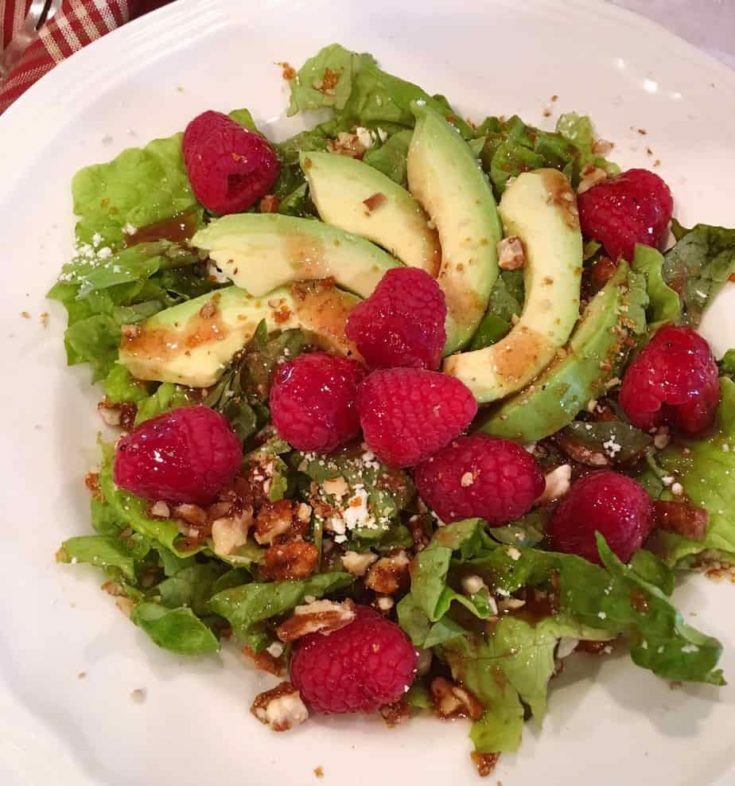 lol) From everyone’s “must have”…the big fluffy Lion House dinner Rolls to the Coconut Raspberry Cheesecake, one of my personal all time faves. Every member of the family has their favorite. Y’all have favorites too! 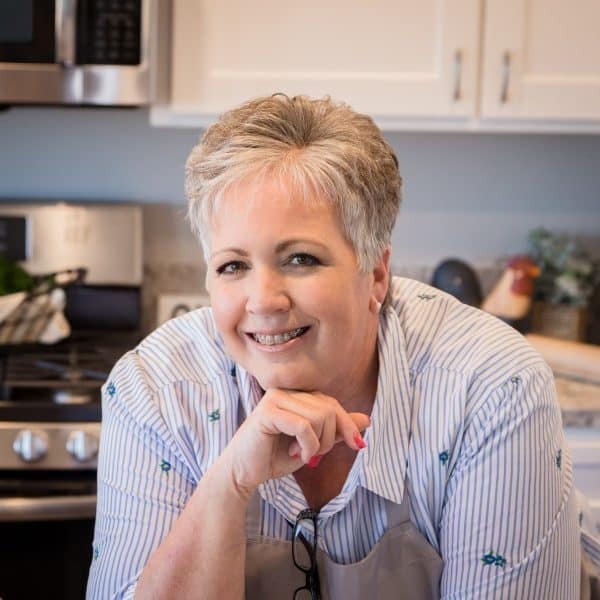 My World’s Best Carrot Cake has been the number one recipe on the blog for 3 years with rave reviews from every single person who has ever made it. It’s one we all love too. 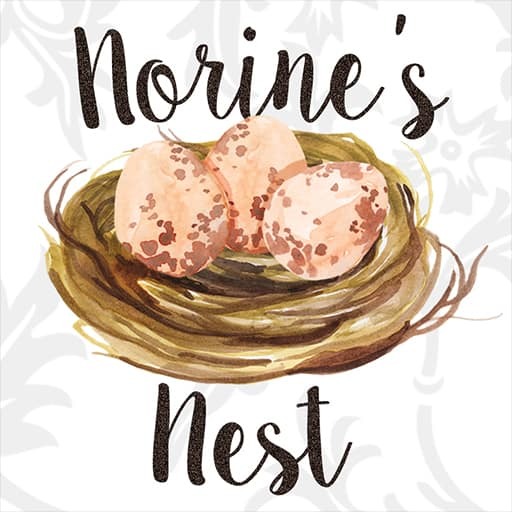 Speaking of that World’s Best Carrot Cake…let’s kick off this round-up of our Nest’s favorite Easter Side Dishes with that scrumptious dessert…cause ya know what I always say…Dessert First! A collection of the Best Easter Side Dishes. 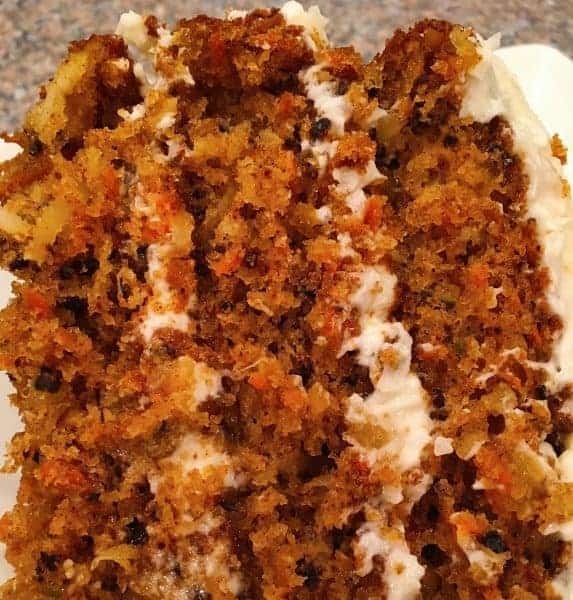 This recipe makes a fabulous and moist carrot cake. Five stars all the way! I always get rave reviews whenever I serve this cake! It makes amazing cupcakes too! 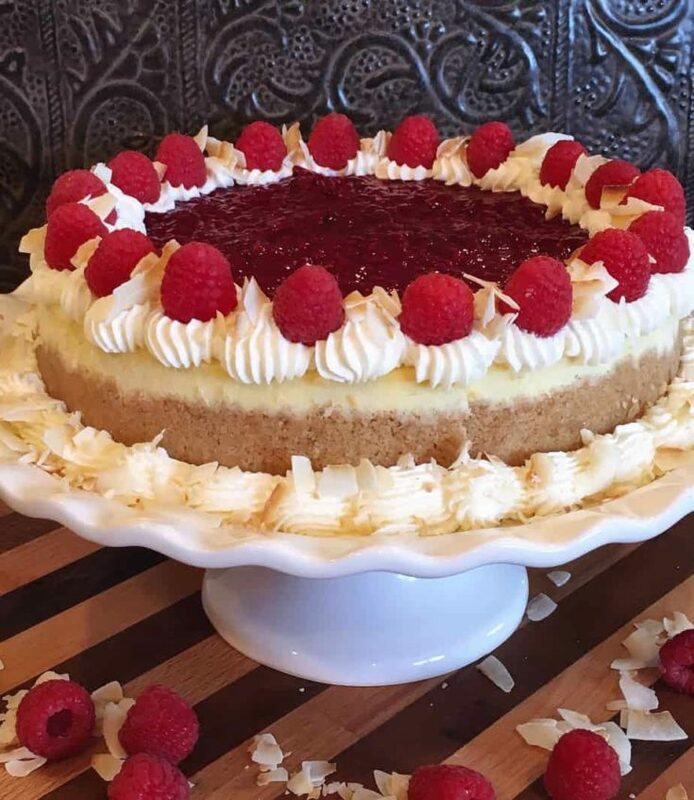 A light coconut cream cheese cake with ribbons of fresh raspberry filling topped with more fresh raspberry filling in a buttery melt-in-your mouth coconut cookie crust. It's out of this world and worth the extra effort to make. 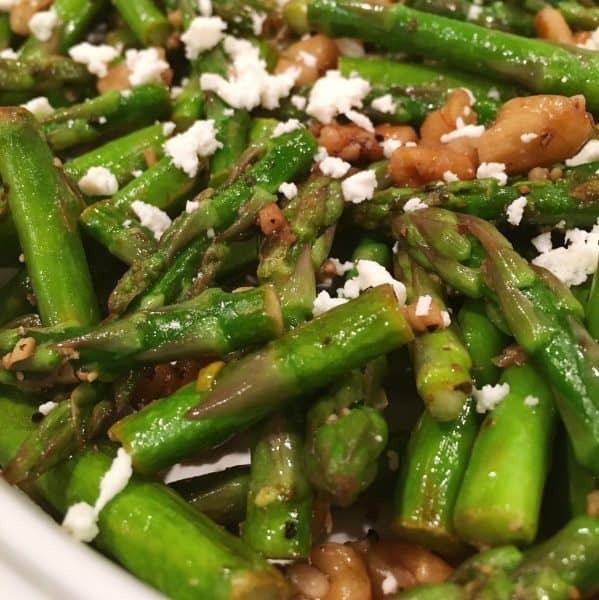 Tender young asparagus shoots and sauteed in olive oil, garlic and butter with seasonings and topped with toasted walnuts and feta cheese for an outstanding flavor filled side dish. 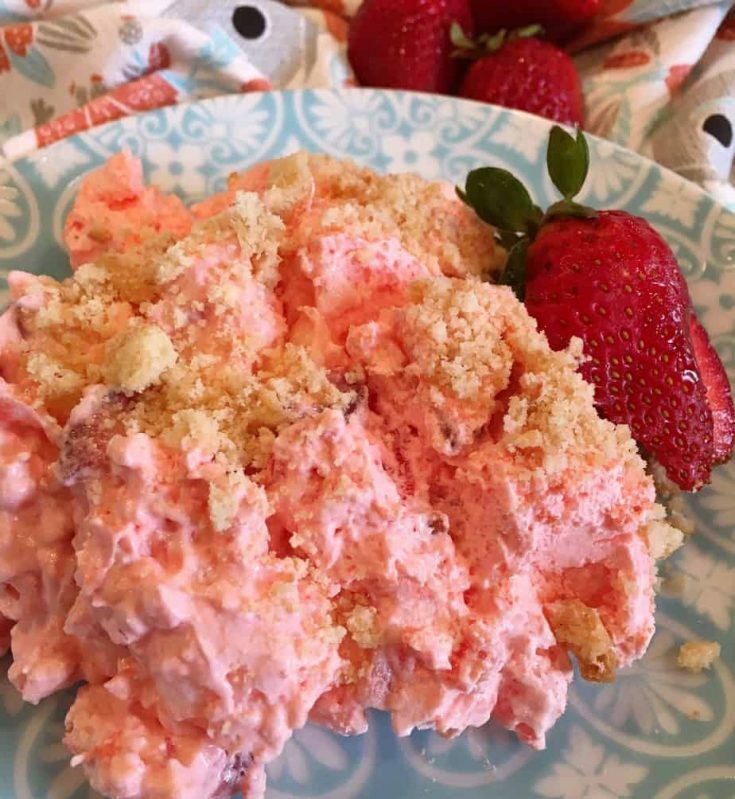 Fresh Strawberries mix with jello, cool whip, and coconut short bread cookies to create a truly luscious side salad. 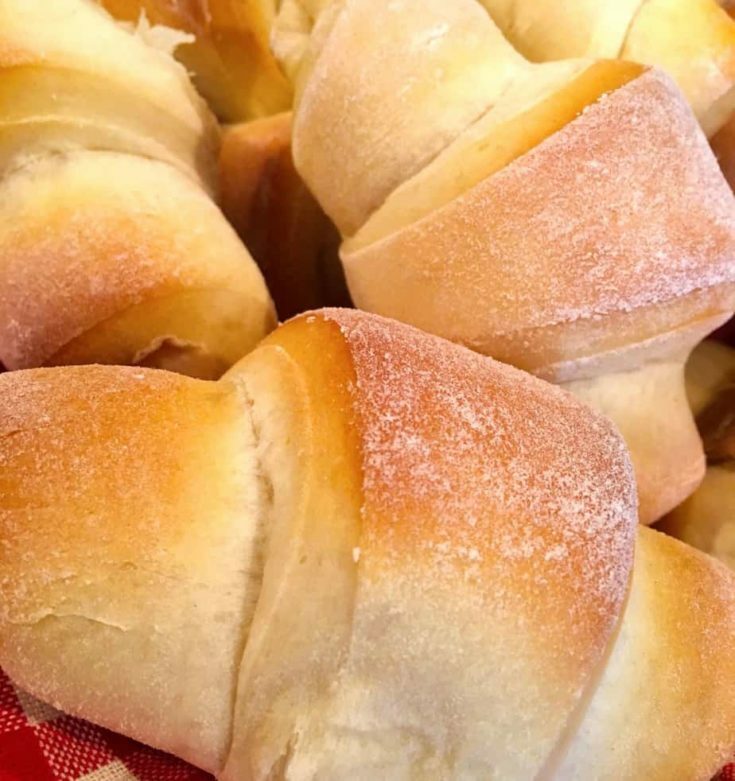 A recipe from the "Lion House" in Salt Lake City, Utah, these big fluffy tender rolls melt in your mouth. Load them up with lots of butter and your favorite jam. Strawberry Shortcake is as spring as spring can get. 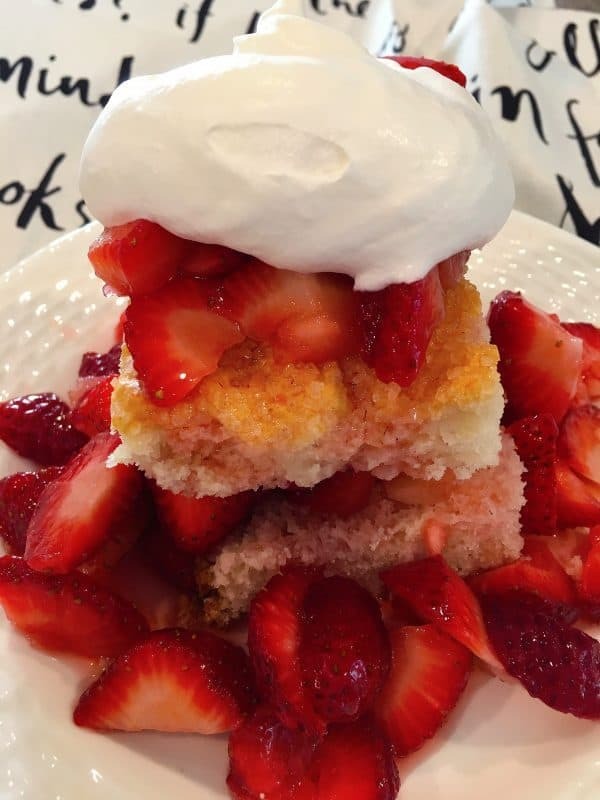 A traditional moist light crumb cake is layered with fresh sliced strawberries in a light syrup and topped with a big spoonful of whipped cream. 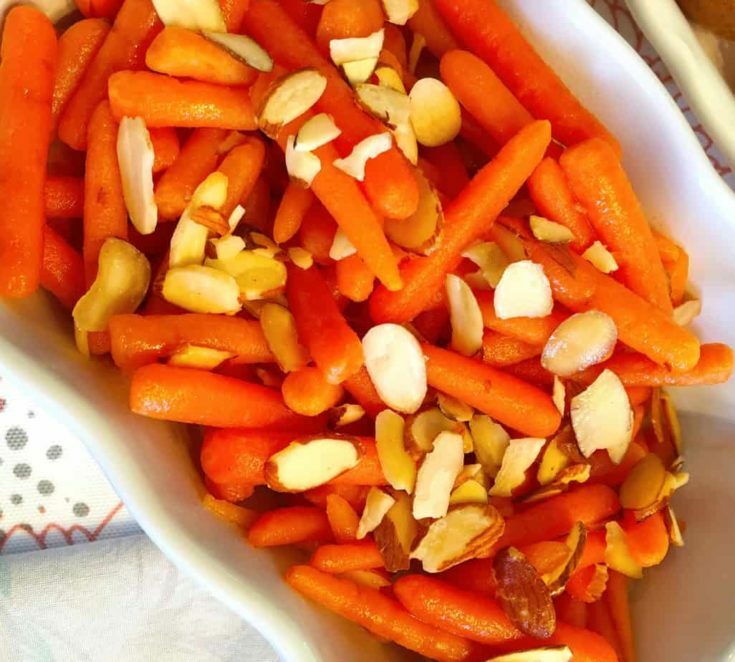 Tender baby carrots are steamed and sauteed in a buttery amaretto sauce and topped with toasted slivered almonds. 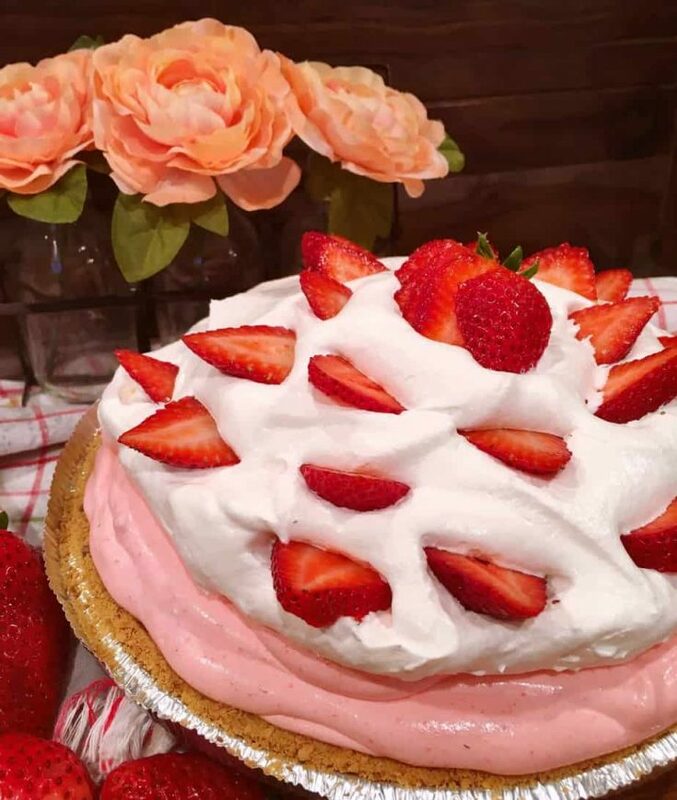 This quick easy "No-bake" pie combines strawberry jello, cream cheese, cool whip, and fresh strawberries for a light and luscious cheesecake type pie all nestled inside a prepared graham cracker crust. 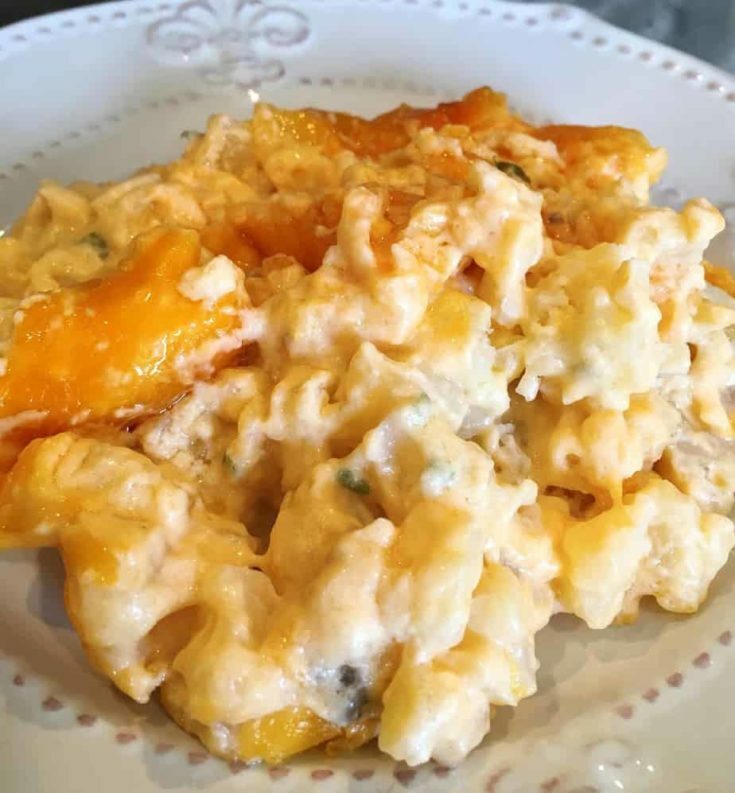 You don't have to pass to the great beyond to love a casserole dish loaded creamy cheesy potatoes and topped with more cheese. This is truly a family must at every Easter dinner. Save room after all the chocolate bunnies and Cadbury mini eggs (ya know you’ve been hoarding them since Valentine’s Day…own it!) 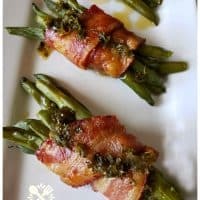 for a few of these side dishes. 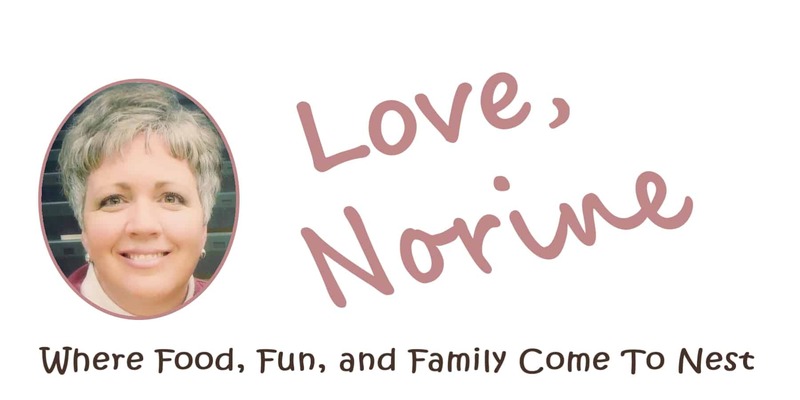 I promise…you’ll love ’em as much as we do. Just like any good Broadway production…it’s usually the supporting cast members who steal the show…not the main character. 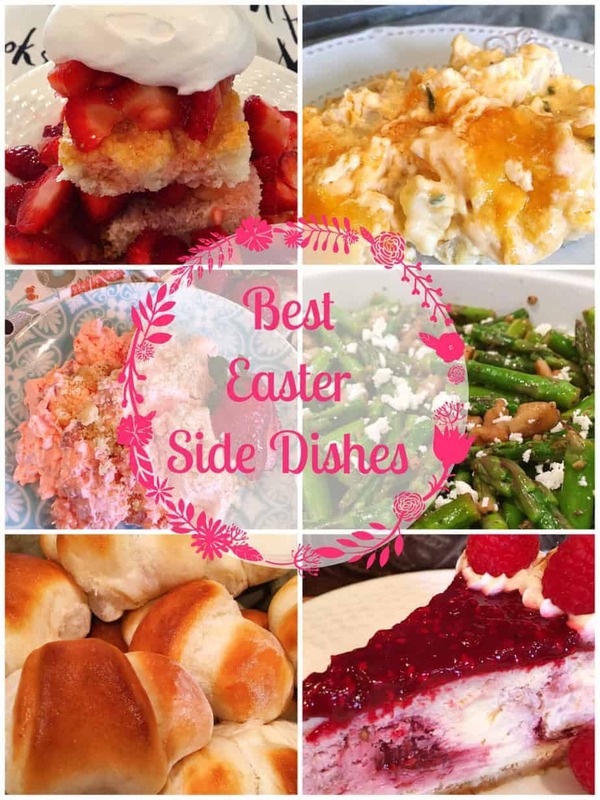 So let the ham grace the dinner table…but let these amazing Easter Side Dishes be the shinning stars at your Easter table this year! Thanks so much for stopping by. I hope you and all the “peeps” (Insert mild Easter humor) at your Nest have a wonderful Easter! Happy Nesting My Friends and a Very Happy Easter! 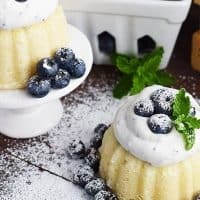 Mini Almond Bundt cakes with Fresh Blueberry Whipped Cream – Light and perfectly moist almond cakes combined with fluffy homemade blueberry whipped cream topped with fresh blueberries make up these delicious dainty desserts. These individual sized cakes are perfect to share with those very special people in your life.